One advantage to being an epic hero is that, if you feel like killing someone, you can just paint them as a villain. Sometimes the giants and dragons slain by heroes have committed evil actions that need to be stopped, but other times they just seem to be in the wrong place at the wrong time. Such is the case with Humbaba, a monster who appears in the Epic of Gilgamesh. Humbaba is an ancient giant sometimes described with having the head and claws of a lion, but also reported to have a face that looks like it’s made of human intestines. He could breathe fire, roar incredibly loudly, and kill with a look. All typical characteristics of chthonic monsters, I suppose. He’s not simply a dumb, murderous brute, however, but a being of human intelligence charged by the gods with guarding a forest of cedar trees. While I don’t think the epic ever officially identifies the location of this forest, it appears to be a common assumption that it’s in modern-day Lebanon, which would make sense. Gilgamesh and his sidekick Enkidu decide to slay Humbaba, partially for the challenge and the glory, but also so they can gain access to the cedars to use as building material. These two had kind of a manifest destiny thing going on, didn’t they? 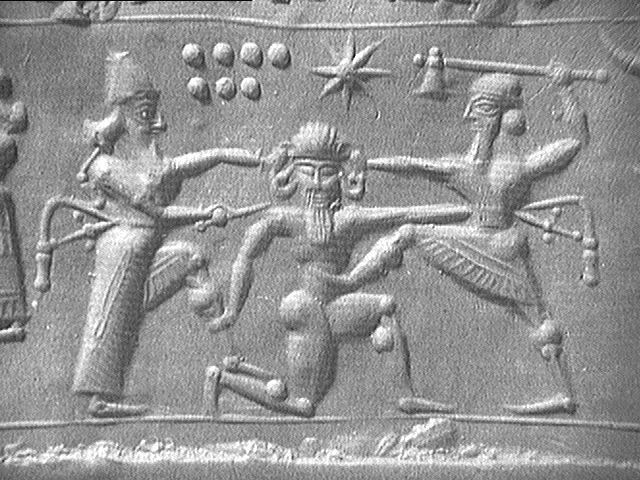 The two have the help of the solar deity Shamash in defeating Humbaba, who pleads for mercy after being beaten, but the King of Uruk kills the giant anyway. In a polytheistic world, it’s difficult to be friends with one god without angering another, and in this case it’s Enlil who gets pissed off upon learning that Gilgamesh has slain the divinely appointed guardian. It’s due to this that the gods decide to kill Enkidu, leaving Gilgamesh to struggle with his own mortality. So even the writers of the epic seem to realize that being a hero doesn’t always put you in the right. And defending Humbaba appears to be fairly common on the Web, as evidenced here and here. 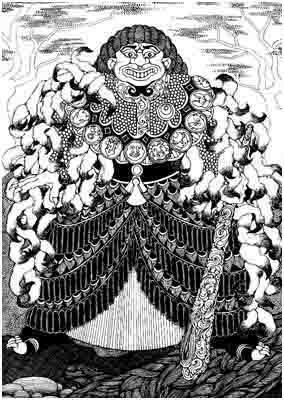 As explained on the latter page, Gilgamesh considered it fair to kill Humbaba and take control of his resources because the giant was not fully human, and hence not part of polite society. The same justification has been used by conquerors for ages. Come to think of it, Dr. Seuss’s The Lorax bears some similarity to this part of the Gilgamesh tale as well, only with the small Lorax filling the role of the fearsome giant Humbaba in being an ultimately unsuccessful protector of nature against greedy invaders. Interesting, that. Like many other mythological monsters, Humbaba has made his way into video games, specifically the Final Fantasy series. 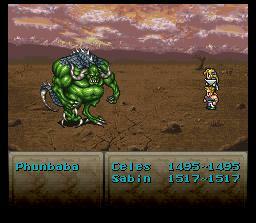 In FF6, the original English translation called him “Phunbaba,” despite the fact that fighting him was not at all fun. He’s described as a demon who was freed from his prison inside the earth when Kefka used the goddess statues to destroy much of the world, and he’s the first boss monster you have to fight after the world changes. I remember when my brother and I first rented the game (back when it was still FF3 in this country), and one of the saves was at the beginning of the World of Ruin sequence, but the characters weren’t all that high in terms of levels. We had to try the battle against Phunbaba numerous times before finally defeating him. And there was no indication that this version of Humbaba was trying to protect trees; he just wanted to kill people. This entry was posted in Babylonian, Final Fantasy, Mythology, Semitic, Video Games and tagged demons, dr. seuss, enkidu, enlil, epic of gilgamesh, gilgamesh, humbaba, kefka palazzo, monsters, phunbaba, shamash, the lorax. Bookmark the permalink. 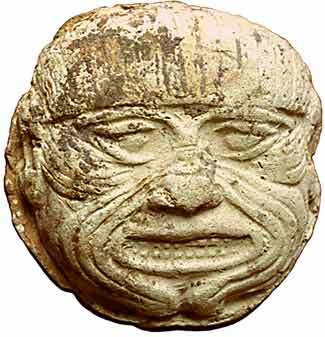 Humbaba (I’ve also seen it as Khumbaba) is interesting to me partially because of how chimeric his description is. You have a list of body parts, but no clear picture of how they fit together, so you can pretty much visualize–and draw–Humbaba any way you want as long as you use some part of his description in the poem. Oh, and he shows up in later Final Fantasy games as a powered-up version of the Behemoth (or a unique Behemoth as a dungeon boss). Some games he looks more like the summon Ifrit with bulkier legs and as a quadruped. Other games he looks more like a bipedal, huge werewolf carrying a blunt weapon in his hand. The four-legged kind often has the power to use Meteor, or multiple Meteors at once, as his counterattack when he gets KO’ed; thus taking you down with him if you don’t have enough HP and Magic Defense/Evasion. You’re welcome. I’ve found that most mythological monsters eventually end up in video games.